3. Our min. Q'ty request per item is 100pcs (for first order we can accept min. Q'ty request per item is 50pcs to start with). 4. Our min. total amount per order is US$ 10,000.00 (for first order we can accept min. total amount per order is US$ 5,000.00 to start with). 2. 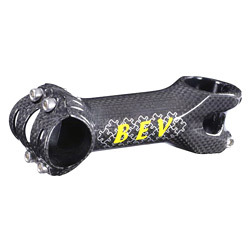 Carbon wrap stem +/-7 degree, ext. 80~120mm.